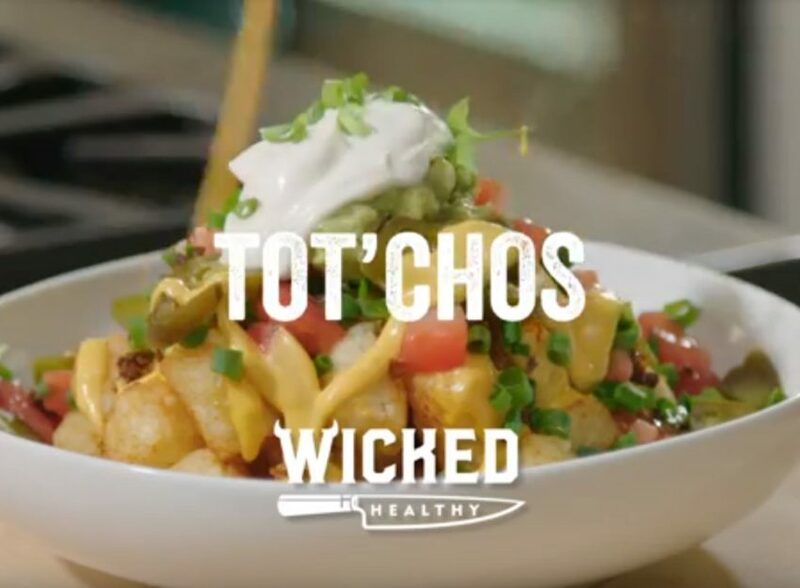 Tots, plant-based queso and Field Roast Mexican Chipotle Sausages combine forces to create “Tot’Chos” … and you’re going to love how wicked delicious and easy it is to make this for your next party or get-together! Remember that plant-based queso? 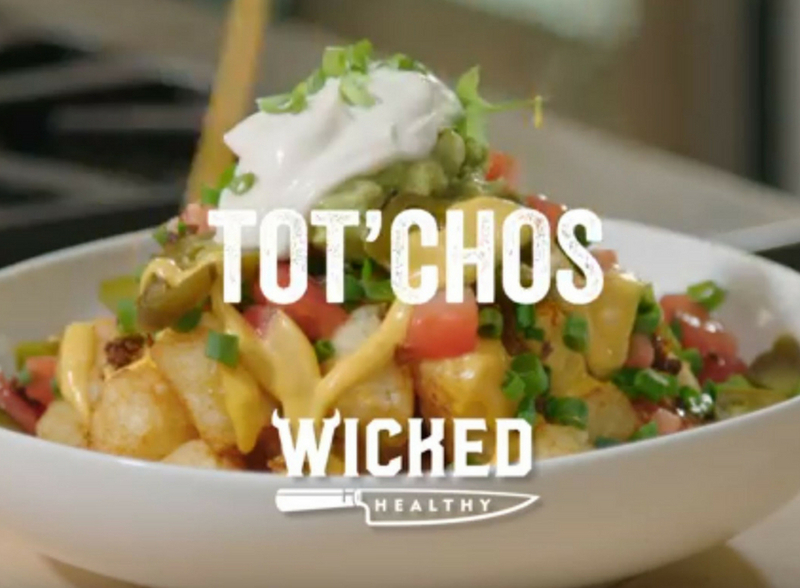 We’re layering it with golden tater tots and ground Field Roast to make the Tot’Chos of your dreams. Share with friends or keep it all to yourself. Need more nacho-inspiration? Check out our Brussels Sprouts Nachos. Place the chopped Field Roast sausages into a food processor and pulse until course ground. Warm a large cast iron pan over medium heat and add the oil. Add the onions and saute over medium heat until slightly softened and translucent. Add in the ground sausage and saute for several minutes more, allowing the crumble to crisp up. Remove from heat. Remove tots from oven once crispy. Place half of the tots into a large serving bowl, topping with ½ cup of the warmed queso. Add the rest of the tots to the bowl, adding another ½ cup of the queso. Top as much as desired with the browned sausage, tomato, green onions, pickled jalapeños, guacamole, plant-based sour cream and extra queso. Serve immediately with all your friends.